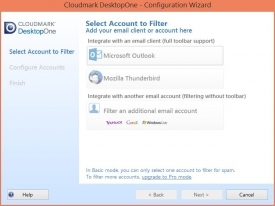 "Get rid of annoying spam with Cloudmark DesktopOne." I don’t know about you, but I have had it with spam. It’s everywhere. I can’t find what I’m looking for because the spam masks itself to look like my normal emails. I click on one and then everything is ruined. I start getting notifications and popups saying that my computer is infected with this and is trying to be accessed by that. It’s just one big headache. Or I should say that it was one big headache until I tried Cloudmark DesktopOne. 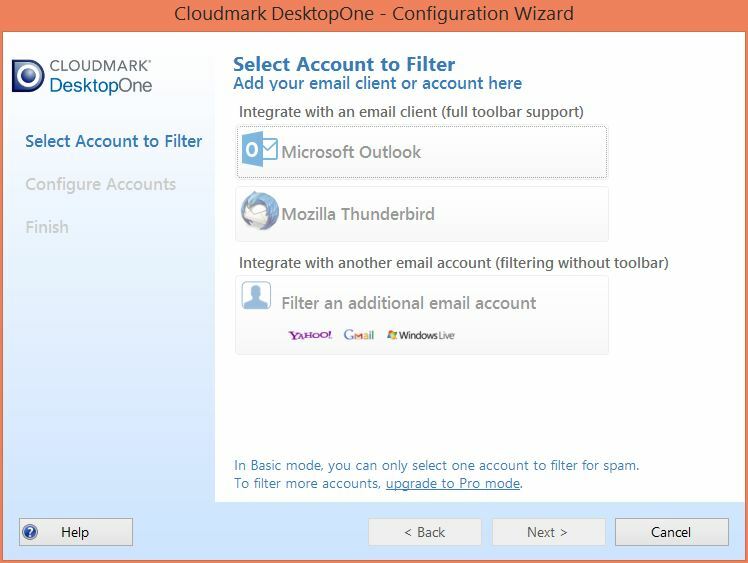 Cloudmark DesktopOne is an anti-spam application that works in tandem with Microsoft Outlook and Mozilla Thunderbird to clean your inbox of all the dirt that gets thrown in there from spammers – as they have become smarter about how they do things in “spamville.” The setup process is simple. All you have to do is ensure that you are using Outlook or Thunderbird to handle your email on your PC, run through the setup wizard for Cloudmark, and you’re done. The application will immediately start sifting through your email looking for spam. Once spam is found, it is removed from your inbox leaving you with a simultaneous feeling of refreshment, freedom, and accomplishment that I’m sure you haven’t felt in some time. Don’t let the spam overtake you. Take care of it with Cloudmark DesktopOne for your PC today! Note: This is the 32bit version of Cloudmark DesktopOne. If you are looking for the 64bit version of the application. You may access it here on Rocky Bytes using this link.